MANILA – As the government’s new curriculum nears its full-blown implementation next school year, the last quarter of 2015 saw parents of Grade 10 students scrambling to find low-cost private schools which offer senior high school (SHS) – the additional two years of secondary education under K to 12. Earlier this year, the Department of Education (DepEd) announced that only 5,800 out of the 7,748 public high schools in the Philippines are set to offer Grades 11 and 12. Education Secretary Armin Luistro, FSC said that up to 2.2 million students can be accommodated in public schools, but some 800,000 to one million students are expected to go to private high schools and colleges, state universities and colleges that will offer senior high school. Now here come the Affordable Private Education Centers, also known as APEC schools, which promise low-cost, “world-class quality education,” which appeal to lower- to middle-income families who cannot afford college-level fees for the added two years of high school. 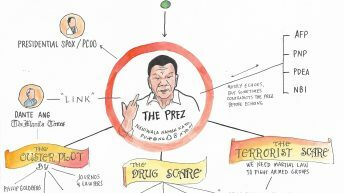 However, many K to 12 critics say that, with the rise of schools such as Apec, the new curriculum would not only be geared toward producing cheap labor for big business, but also paves the way for big business to get even more profits: through education. In May 2014, the Ayala Corporation announced its new business venture — low-cost private high school. The Apec schools are a chain of for-profit secondary schools, created by British company Pearson PLC, the biggest education corporation in the world, through its venture capital fund the Pearson Affordable Learning Fund (PALF), and Ayala Corporation, through its edu-business arm, LiveIt Global Services Management Institute (LGSMI). A recently released research commissioned by Education International, however, revealed that behind the promise of low-cost but world-class education is a profit-driven design aimed to supply cheap labor to global industrial capitalists. The research entitled “Corporatised Education in the Philippines: Pearson, Ayala Corporation and the emergence of Affordable Private Education Centers (Apec),” was written by Canadian Curtis B. Riep, a doctorate student in the Department of Educational Policy Studies at the University of Alberta. The independent research commissioned by Education International said K to 12 created an opportunity for private corporations to take part in the Philippine education system. In this case, the Ayala and Pearson conglomerates have built Apec schools targeting lowest-income learners. Education International (EI) is an organization of educators in 170 countries around the globe. Apec schools are packaged as world-class private high schools at an affordable cost, for as low as P64 a day which includes books, computers and fees. 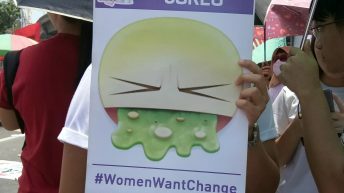 But Riep said Apec school fees still cost at least P24,850 ($527) a year, or 40 percent of the income of a poor family. Riep said there are currently 12 APEC schools in the National Capital Region with approximately 1,500 students. He said APEC plans to expand in the next years to come. In 2016, it plans to double its chain to 24 schools serving 4,000 students. He said that in 10 years time, APEC plans to grow and expand their chain of schools to 500 schools serving 250,000 students in the whole Philippines. 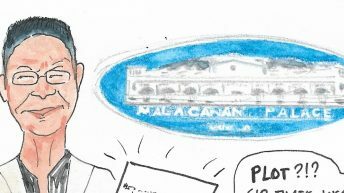 “An APEC student paying at least 25,000 per year for classroom services and with this rate, 250,000 youth paying P25,000 is a very, very lucrative business venture for Ayala and Pearson,” said Riep. 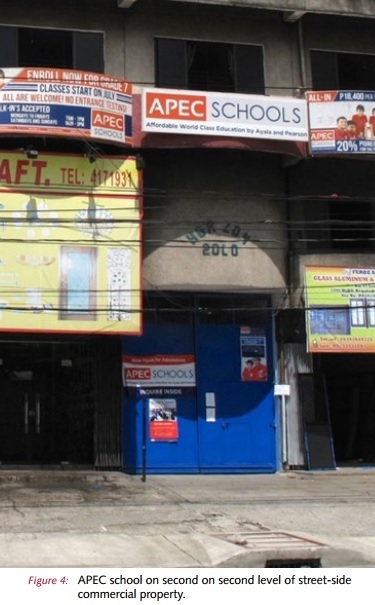 For one, DepEd has given permission for Apec schools to operate in unused or vacant commercial buildings which Apec could lease, instead of purchasing land and constructing proper school facilities. James Centenera, former business development manager of Pearson Affordable Learning Fund who was interviewed by Riep for the research, said that they talked to the government to have some regulations relaxed. 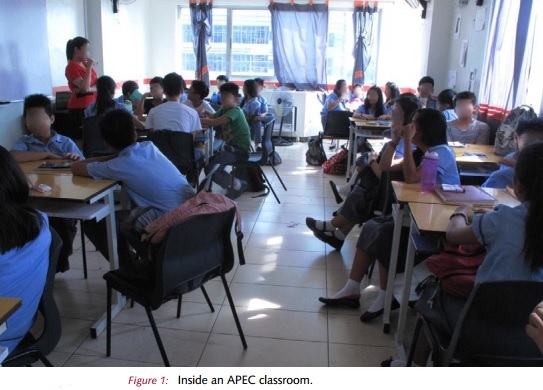 In the research, a property space rented by Apec is typically on the upper levels of vacated commercial buildings that include three to four office rooms, transformed into secondary classrooms that house approximately 30 to 45 students each. The research also said that because the school facilities have been downsized, Apec schools have no science laboratories, gymnasiums, or libraries, which DepEd requires of all private secondary schools. “Apec is forced to be creative in their usage of operational space for classes such as physical education (PE) or laboratory-oriented courses. One Apec teacher explained, ‘PE is difficult in our space because it’s so small the children can’t really move around. But we try to maximize the space to try and get the children to move around a bit,” said the study. Like the condition in public schools, Riep said there were complaints on poor air ventilation and overcrowded classrooms. If school management puts on air conditioning, they will also pass the cost to clients — in this case, the students. “Because at the end of the day we are not a charitable institution, we are still a business. So is it going to be profitable for the company?” the research said, quoting an Apec school head. The research also revealed that approximately 70 percent of teachers in all Apec schools do not have proper professional accreditation, which is the Licensure Examination for Teachers, required by DepEd for secondary school teachers. Riep said these teachers are also paid severely low wages. Riep said Apec teachers, referred to as “learning facilitators,” receive lesson guides that tell them what to cover and provides them with activities to facilitate a class. “We ask teachers not to deviate from the lesson guide because it can provide inconsistency across the chain and we don’t know if all teachers are equipped to do it otherwise,” an Apec administrator was quoted as saying in the research. The DepEd, the research said, also permitted Apec to lower the standard for a qualified teacher. “It only goes to show how subservient our government is to the dictates of corporations,” she added. 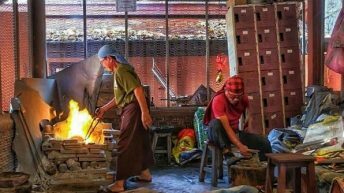 Riep’s research showed that Apec schools were designed to produce cheap and flexible labor not only to the local but also global labor market. “By focusing on skills and traits required by industry and reverse-engineering a curriculum to inculcate the necessary dispositions, Apec’s corporatized system of education has oriented learner outcomes to serve the interests of industrial capitalists,” the research read. Riep said Apec follows the DepEd’s K to 12 curriculum by offering mathematics, science, English, Filipino, social studies, MAPEH (music, arts, physical education and health) and TLE (technology and livelihood education). However, Apec’s curricula focuses on employability skills and traits, at the expense of foundational subject learning. Apec curriculum also focuses on English communication skills required for employment in call centers. In turn, Riep said, Apec schools involve two forms of privatization: de facto privatization in the form of user fees paid for by students in exchange for basic education, and privatization that exists because of the increasing private control and influence in the social relations of production.. He said this is demonstrated by the joint venture between Ayala and Pearson that aims to produce a repository of labor with the skills, knowledge and values in demand by industry. 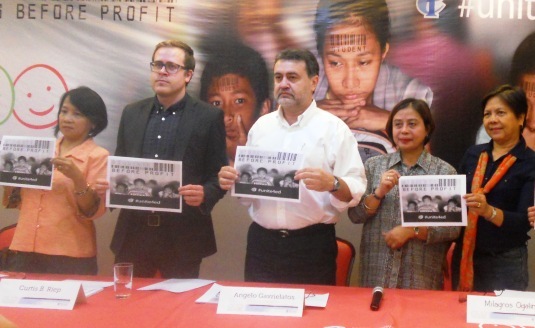 Angelo Gavrielatos, project coordinator of Education International, lamented that instead of pushing for free education, government even promotes Apec schools, which are not that cheap. “Rather than investing in quality free primary and secondary education for all, the Philippine government is encouraging the growth of for-profit Apec private schools. 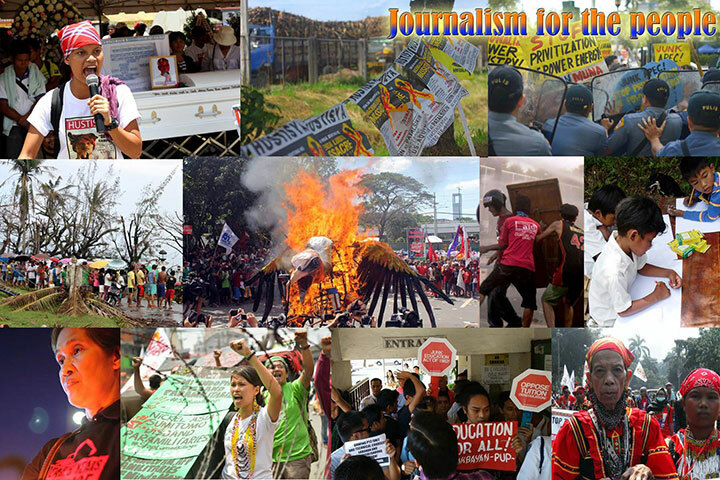 Fees charged by Apec represent about 40 percent of the income of the poor in the Philippines. That’s hardly affordable,” Gavrielatos said at the launch of the research in November. 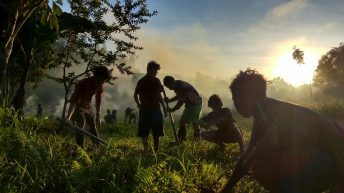 Apec schools, in line with DepEd’s K to 12, promise employability, but critics of the K to 12 argued that it will not solve the joblessness that has plagued the country for decades. Through K to 12, the labor group said the production of cheap labor will be even more systematic. The KMU said the government has been promoting lies about “jobs mismatch” as an excuse for the widespread unemployment in the country and for re-tooling the country’s education system to further suit the interests of big foreign and local capitalists. 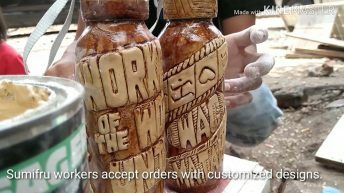 The group said many Filipinos are jobless because only a few jobs are available in the country, not because Filipinos are not skilled enough for the available jobs. “It is foolish to think that the country’s problem in employment can be solved by adjustments in the education system,” group said. Gavrielatos said the government has an obligation to properly fund education. “What we’re worried about is that the announcement of K to 12 without the necessary funding is providing an opportunity, and in fact, the government is encouraging the entry of corporate, for profit, non-state actors to come to education. For-profit actors are driven by the profit making. That is the primary objective — to increase profit,” Gavrielatos said in a separate interview with Bulatlat.com. He added that the profit motive has no place in dictating what is taught in schools, how it’s taught or how schools are organized because in that world the first casualty are students and quality of education. “To generate profits, Apec and other similar chains, employ fewer and unqualified teachers and provide facilities which do not comply to standards. What’s quite regrettable in this regard, and almost scandalous, is that the government has waived regulations that exist in the provision of education, to satisfy the business interests of Pearson and Ayala,” Gavrielatos said. “Whenever you put a price on education, it’s a barrier when it comes to access in education. 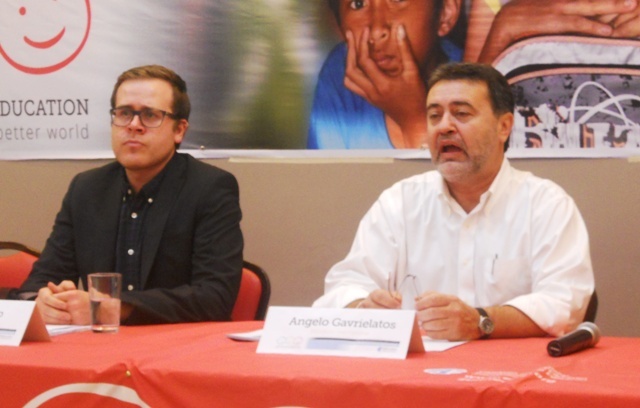 We call on all governments to fulfill its obligation to provide the political and financial commitment necessary to realize free primary and secondary education for all,” Gavrielatos added.